Flatwound bass strings are more popular than they have been in years. Their sound harkens back to the timeless rock, funk, and R&B recordings that helped define the role of modern bass players. More and more of those players are looking to the flatwound sound for new inspiration that’s informed by a classic aesthetic. 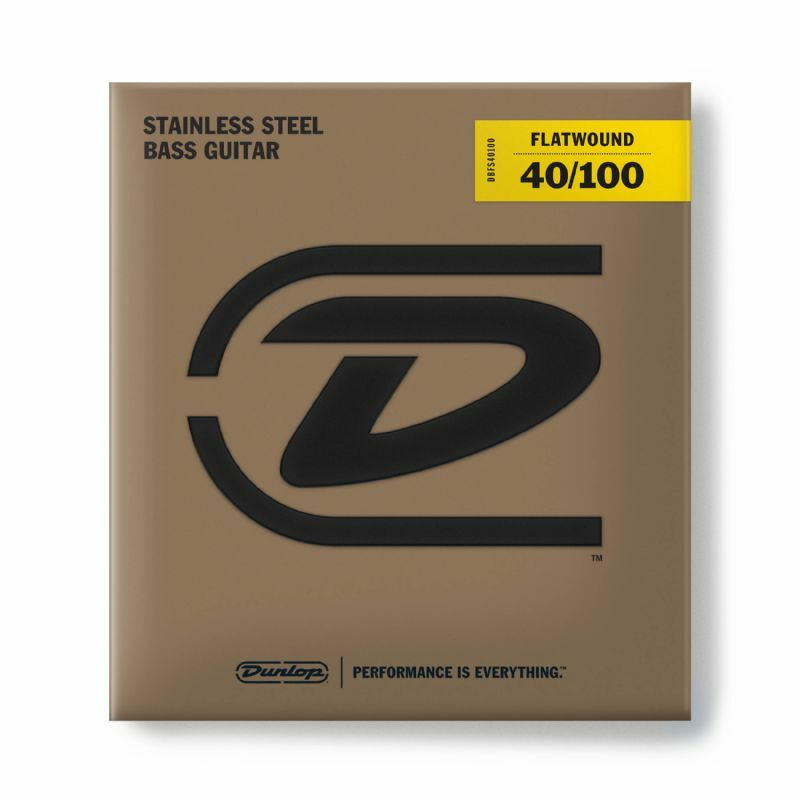 Dunlop Flatwound Bass Strings embody that sensibility. They provide a clear, solid fundamental and superior tonal versatility. Rolling off your bass’ tone knob takes you from a modern punchy and articulate sound to that classically deep, mellow thump flatwound strings are famous for. Each set is carefully designed for lower tension and consistent string to string tone and output.